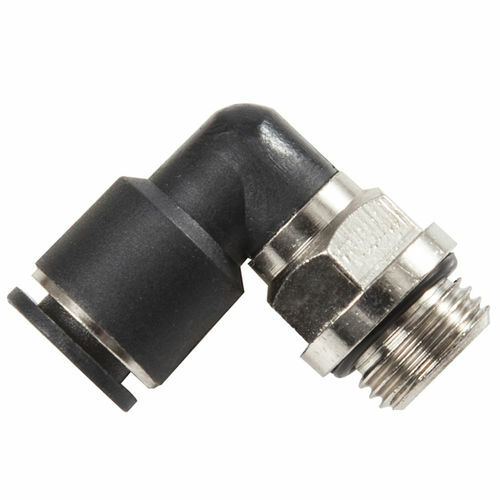 PL 06-G01C male elbow compact ( miniature ) one touch fitting push in 6mm tubing with G, BSPP 1/8 male thread. it's 40% smaller volume ration and 20% smaller external dimensions ration in comparison to normal PL 06-G01. It's specially designed for pneumatic installations in equipment that are small and compact in size. Working pressure from 0~1.0Mpa (0~150psi), Working temperature from 0~60ºC (32~140ºF).